Hot off the heels of re-releasing the original “Grey One” colorway, adidas Originals now introduces the Futurepacer in an all-new black scheme. 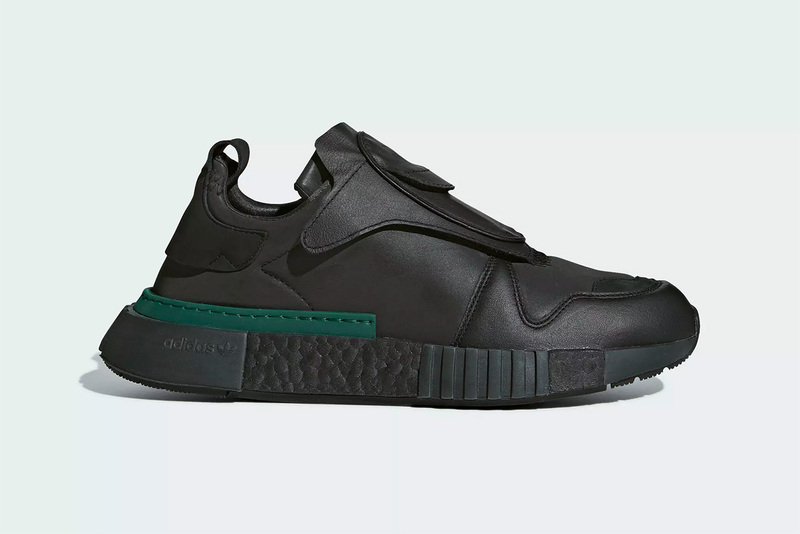 The modern hybrid sneaker — a fusion of NMD codes and iconic 1984 Micropacer style — flaunts a premium leather upper and full-length BOOST sole unit, which gets murdered-out in this black version. For detailing, branding is kept tonal at the tongue tab, while a pop of green trim at the heel, a hit of blue at the inner tongue, and white text at the mid-foot panel add subtle contrast to the stealthy look. The adidas Originals Futurepacer black colorway is slated to release on September 1 for a retail of $180 USD at adidas’s web store and select retailers. Let us know if you prefer this version or the original in the comments below, and for more upcoming sneakers, check out Don C’s Jordan Legacy 312 “Nike Pack”. A trio of NBA-inspired colorways. STARDAN sneakers and installation art.